SAN ANTONIO—For 30 years, Dana Sellers has been an advocate for health IT, advancing it to improve care and outcomes. 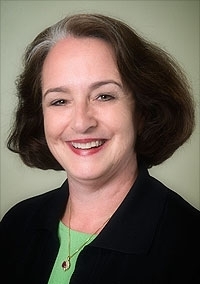 On Thursday, the College of Healthcare Information Management Executives honored her accomplishments by giving her its top honor, the Industry Leader Award. Sellers co-founded and served as CEO of Encore Health Resources, was a partner in IBM's Global Business Solutions, and was president and COO of Healthlink. "Whether implementing EHRs' that physicians truly embrace helping us grow our population health capabilities or finding ways to coax more value from our data, Dana always was looking for solutions that met our needs," said Marc Probst, CIO of Intermountain Healthcare, in a statement. In her acceptance speech, Sellers thanked her team, CHIME members and her husband, who she said held down the fort while she traveled for work. Also on Thursday, CHIME announced the winners of two awards the celebrate work between health systems and the healthcare industry, the Collaboration Award and Partner Award. St. Luke's Health System was the recipient of the Collaboration Award. When the health system was installing new electronic health record and revenue cycle management systems, the implementation took a toll on the staff. They faced greater workloads, parts of which they didn't even enjoy. To ease the unpleasantness, CIO Deborah Gash hired HCTec, which makes healthcare workforce tools. Gash and the company boosted morale, lowered turnover and saved the health system $9.2 million over about three years. The Partner Award went to Connection, a Merrimack, N.H.-based company that links healthcare customers with technology tools.